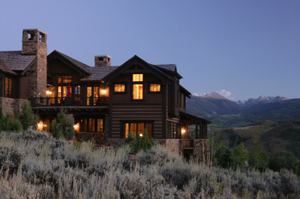 It’s always exciting to buy a new home in Breckenridge, CO. With such a huge selection of lovely properties, you’re sure to find the residence you’ll love for years to come. However, the process of getting a mortgage can be stressful. That’s why it’s best to ease your anxiety by taking the time to investigate all of the mortgage deals available. As a RE/MAX Realtor, I understand how difficult it can be to choose a loan that meets your needs. For this reason, I want to focus on how you can set up a mortgage comparison to help figure out which one makes the most financial sense. When you’re looking for a home, it’s important to check out several properties, and you should bring the same approach to choosing a mortgage. Don’t just settle for the first lender you speak with. Visit a number of commercial banks, mortgage companies and credit unions to compare prices. Another option is to work with a mortgage broker. This professional finds you a lender using a number of factors to decide who will be the best fit. You won’t have to spend time speaking with institutions yourself. Also, a broker may have better access to mortgage products than you could find on your own. Keep in mind, though, that there are differences in brokers, too. It’s not a one-size-fits-all proposition, so interview a few brokers the same way you would choose a lender or a Realtor. To complicate matters, when you pick a mortgage you may not know if you’re working with a lender or a broker. Some financial institutions are set up as both lenders and brokers, making the distinction very fuzzy. It may seem like a matter of jargon that doesn’t have any impact on the cost of your mortgage. However, it’s critical that you know the precise design of your mortgage because of the fees involved. A broker is often paid separately from whatever lender you may choose. If that’s the case, you could owe more than you think. There’s also the possibility that the broker is paid in points at closing or an add-on applicable to your interest rate. Both of these alternatives may cost you more money, too. The bottom line is that you need to know all of the details involved in every plan so that you aren’t surprised with hidden fees you can’t afford in the end. The best way to understand the costs of every mortgage you consider is by collecting all of the information you can on each one. In short, this comes down to finding out the interest rates, asking about points (which may serve to lower the rates) and getting the rundown on any fees. All three of these aspects can potentially affect your monthly mortgage payment. They’re not just small details. By not fully understanding how every element of the loan interacts with your mortgage, you may wind up with a payment that’s more than you can afford. Don’t forget that you can also negotiate with the lender of your choice. See if there is any way to waive some of the fees. There’s nothing wrong with asking for better terms. You may get an even better arrangement just because you’ve taken the time to bring up the right questions. As you can tell, getting the best mortgage takes time and consideration. This is why I can’t stress enough that you must do a mortgage comparison before finally selecting the right loan for you. I hope these tips help you figure out the ultimate mortgage terms for your new home. If you’re ready to purchase a new property in Breckenridge or throughout Summit County and have questions about lending or which properties to view, get in touch. I can put together some properties that might suit your taste, as well as help with basic lending questions. Feel free to look through the updated listings on my website to begin your research and when you’re ready to explore your options or prepare for showings; contact me at any time via email ([email protected]) or on my office line. I look forward to working with you!